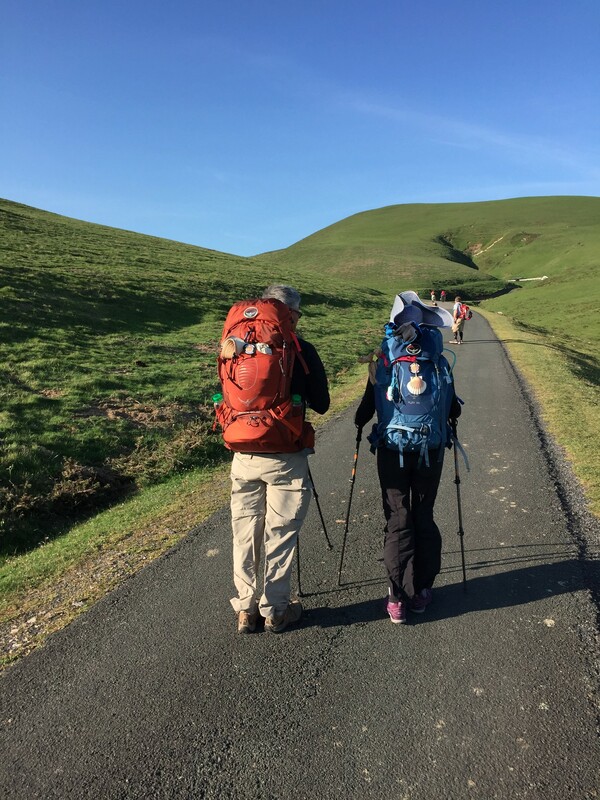 Our Camino was (and continues to be) without question the most prepared, the most thought out, researched and anticipated event ever! The countless YouTube videos in multiple languages, the packing, unpacking, and repacking, Facebook posts, blogs, agonizing over one pair of socks versus two! Sleeping bag or sac? Suggestions from veterans who took the form of all-knowing demigods. Who came up with the 10 percent rule? Really? Who does this? However, as in life, we just soaked up all the information on multi-color post-it notes and index cards and prepared for the perfect experience. 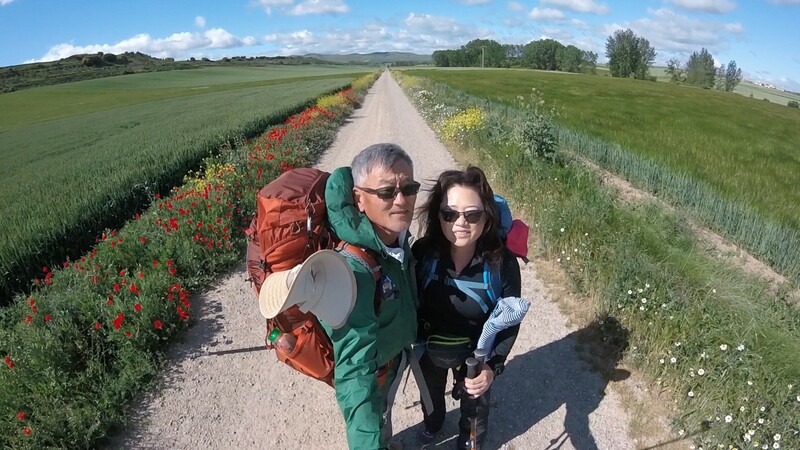 For Anna and I, the Camino was our first date all over again. The anticipation, imagination, adventure, risk and daring, confidence and through-it-all amazement, excitement and romance. It was an opportunity for us to look inwards and focus on ourselves for a three whole weeks—a rare luxury afforded to us amidst a life full of deadlines, conference calls, and performance goals. The countdown to our departure date dragged on and was full of anticipation and preparation. The practice hikes on Mt. Diablo (with full pack and water! 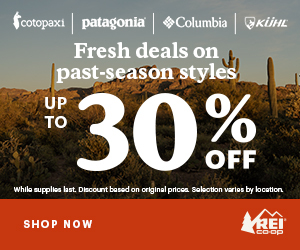 ), walking Lake Merritt in the counterclockwise direction followed in the next month by the equally exciting clockwise direction and becoming first-name-basis buddies with the staff at REI! Fortunately, El Niño not only provided relief from the drought in California but also allowed us to practice walking in full rain gear—ponchos, gaiters, and rain jackets! Oh the weird looks we got from the folks on the Iron Horse trail! 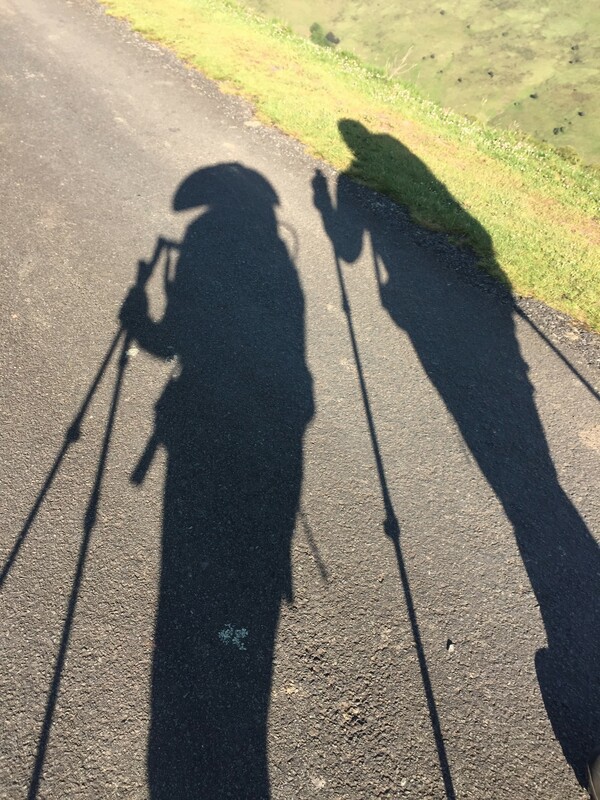 When finally we arrived in St Jean Pied de Port to begin our Camino, little did we know that despite all the preparation, the simplicity of life and repetition of daily activities on the Camino would teach us that we needed very little other than one another to fulfill our lives. Each morning we would wake to the comforting rustling and bustling of fellow pilgrims preparing for the day. No alarm bell. Just the sound of hushed tones, zippers and compression bags being filled. Getting dressed was easy since the wardrobe was very limited! Ten minutes to wash, dress, and pack. We would be walking hand-in-hand while the sun was just about to welcome the day. Our first words were ”did you sleep well?”; “ how are you?”; “ how’s your foot?”. Comforting words to each other that somehow were lacking in our life back home. The new day was just like yesterday and the day before despite the aches and pains that seemed to have no memory. Our first stop of the day was for breakfast—not only for nourishment and the all too familiar caffeine fix but also to take stock for the day. How far to walk? Where to stop? Which albergue? Which route? (Even though the yellow arrows provided all the necessary guidance). The morning stop was a great way to mentally prepare for the day and to set expectations. 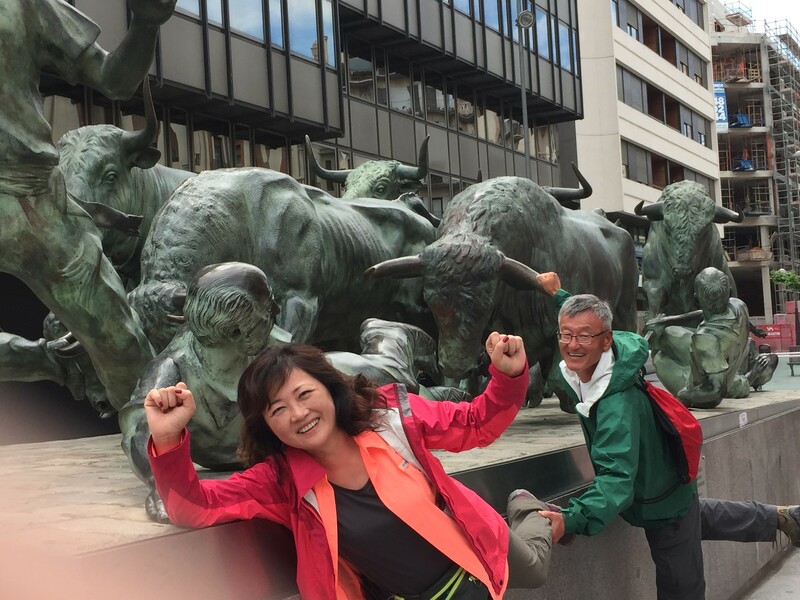 The walking itself would be at a leisurely pace with no particular sense of urgency—more about not staying in the same spot than walking with purpose and full of frequent stops to take pictures and gaze at the scenery. Our banter back and forth was about family, kids, food, our future, our present, and never about work, politics, or money. We were in the moment and in essence, life as it should be. Lunch would be a daring exploration of our culinary limits. Mouth-watering tapas that was visually appealing but our lack of Spanish meant that we often did not know what we were eating. Regardless, they were all good! The walk after lunch was often the most difficult just because the belly was full and the desire to just sit somewhere under the shade was overpowering. 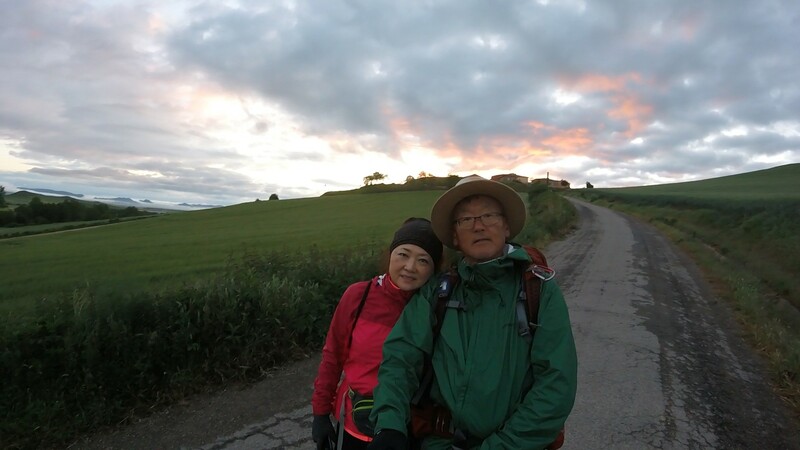 Nevertheless we would soldier on through villages and farmland, powered ever onward by the familiar tap tap tap of a pilgrim’s walking poles behind us, getting ever closer and then with the familiar “Buen Camino,” the tap tap tap would pass and silently dissipate in the distance. . . only for another tap tap tap . . . Finally, we would reach our albergue. Our home away from home. The inevitable anxiety over top bunk or bottom, clean or otherwise would pass, quickly overtaken by gleeful shouts of joy as familiar faces would check in. We would share stories of the excruciating pain that we overcame and exaggerated miles we had to walk only to find solace in sharing the stories with confidence and without judgement like amongst long-lost relatives and loved ones. Dinner would be a time to recoup all the lost calories. Quantity rather than quality seemed to be the reigning theme. Conversations over dinner would travel across the globe—different cultures, foods, and languages made a little more understandable by the endless glasses of wine. Finally, it is bedtime. The sound of fellow pilgrims getting comfortable on their bunks, ruffling sleeping bags, the omnipresent snoring! No TV, no daily news recaps. Just the body telling us it is time for rest. Another day completed. Another full day with only one another to cherish. No one else to blame but ourselves and no one else to envy but for our daily accomplishments. Did we get closer today than we were yesterday? Of course. And tomorrow, we would be closer still. To one another and Santiago. It sounds corny but so true. And so, the Camino goes on. Regrets? 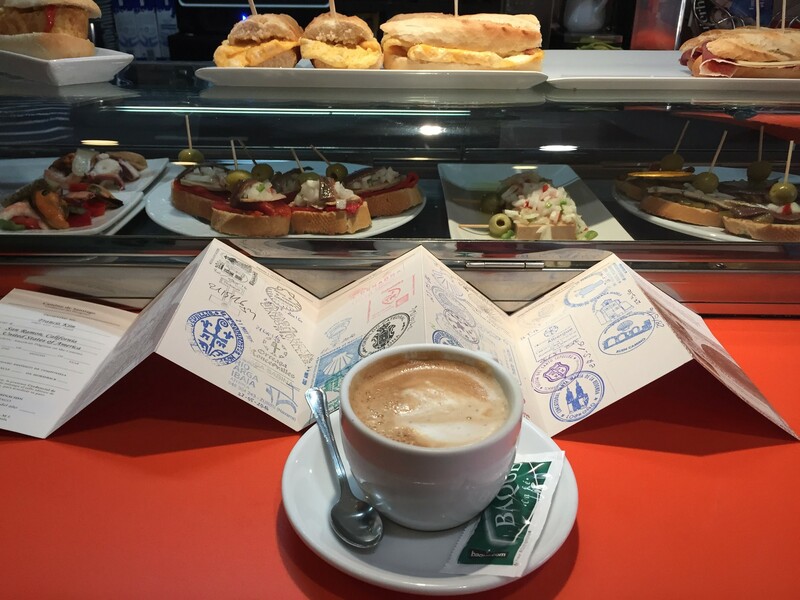 Perhaps only that we only got as far as Burgos before we had to return home. 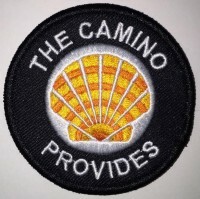 However, all the reason to keep the excitement flowing since soon, we will be leaving for Camino 2.0. This time starting in Porto and finishing (God willing) in Santiago. Thanks Jane! I agree. I see Anna and Francis at Bay Area hikes and pilgrim events. They are adorable! We also went to Hospitalero training together.